Forwarder Emons is replacing their existing telematics system in local and long-distance traffic with TISLOG, which is to be installed on 920 Honeywell CN51 terminals by the beginning of 2017. The supplier of hardware and software is TIS GmbH, which specializes in mobile telematics solutions. 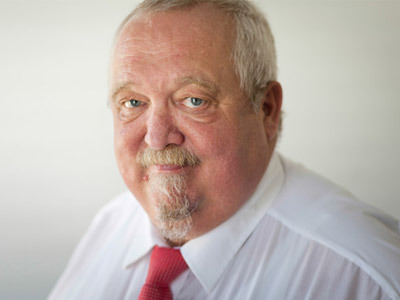 "The existing telematics system lacked some functions that were required by us and our customers," explains Gunnar Stellmacher, who is responsible for IT at Emons. With TISLOG the company has chosen "a proven solution that meets all requirements without major adjustments." At Emons the new telematics solution ensures complete order management between the transport management system (TMS) EuroMistral and all drivers. The tours are sent directly from the disposition software to the mobile terminals and supplemented by the drivers with the current dispatch status. At Emons TISLOG will be used in several variations. TISLOG mobile PSV3 is suitable for the basic drivers equipped with handheld computers with the operating system Windows Embedded 6.5. In the event of short-term demand for additional capacities, Emons can quickly expand the system with additional devices. TISLOG mobile Smart is used here as a "charter app" for the spontaneous and short-term integration of subcontractors into order management. Drivers can use their own smartphone and access the order data via a weblink. The variant TISLOG mobile Enterprise, on the other hand, enables the permanent integration of regularly used drivers equipped with an Android device. TISLOG mobile Enterprise has the same functionality as TISLOG mobile PSV3. In all variants, TISLOG office acts as an online interface for the collected telematics data from the mobile terminals, which are automatically transmitted from there to EuroMistral. "With this new solution, we receive consignment status at Colli level instead of just shipment level, and we now have built-in features for navigation and creation of photos to document damages,” says Stellmacher. As early as 2015, TIS had organized the roll out of the 920 new Honeywell CN51 telematics terminals at Emons. "The cooperation with TIS and our contact person Mike Ahlmann went completely smoothly," confirms Stellmacher, who appreciates "the high competence as well as the open communication at eye level" at TIS. For each CN51, TIS delivered self-developed mobile vehicle cradles, which can be easily installed and dismantled thanks to a suction holder and power supply via a cigarette lighter. The fast mounting of the brackets is very important for Emons, as the forwarding company mainly cooperates with subcontractors and uses rental vehicles from time to time. 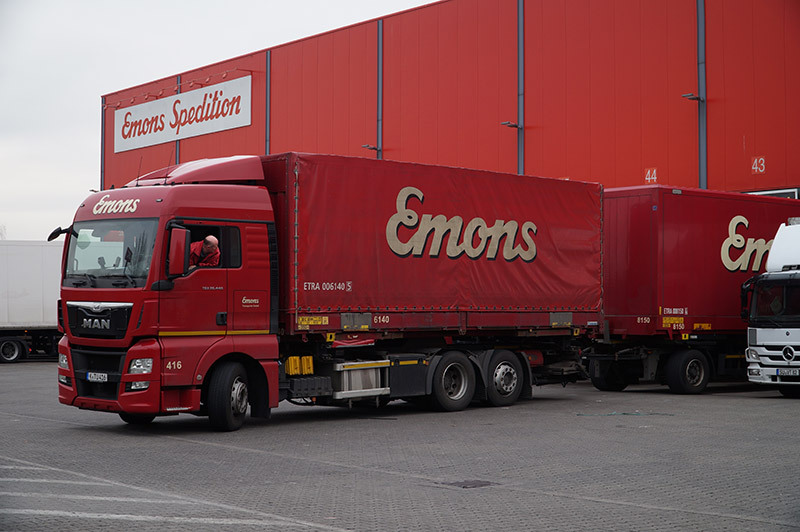 Emons Spedition & Logistik, headquartered in Cologne, is a medium-sized, independent company. Founded in 1928, the logistics service provider transports over three million shipments per year, generating sales of around EUR 350 million. More than 2,000 employees are working at the 87 global locations, which offer all forwarding services from a single source. The broad portfolio includes general cargo system services, partial and full loads, CEP services, air and ocean freight, road-feeder service and container trucking. The offer is supplemented by rail cargo, combined wagons and RoRo transports to Russia. Another large area of the Emons Group is Warehouse-Logistic with over 93,000 square meters of covered storage space at 19 locations. Most of the truck transports are carried out by subcontractors. More than 900 drivers are working for Emons per day. The company's own fleet of vehicles has more than 100 swap body vehicles, 1,000 swap bodies, 35 semi-trailers, 20 local transport vehicles and 160 trailers.